At One Wood Street, we are proud to have assembled a dental team offering a rare combination of training, experience, skill and compassion, and covering general and specialist dentistry, as well as facial aesthetics. Peter graduated from the University of Glasgow and spent one year in general dental practice in Warwickshire. In 1997, he joined the Oral Surgery Department of Princess Margaret Hospital as Senior House Officer. In 1999, Peter worked for 6 months as a volunteer dentist in Trinidad, as well as the interior of Guyana, in South America, where access to dental care is limited. This was a particularly rewarding and valuable experience. He continues to try and do voluntary work in third world countries on a yearly basis. In 2001, Peter was awarded the post-graduate degree of MFDS at the Royal College of Physicians and Surgeons in Glasgow. He is now a Fellow at the College. Due to his training and experience he is on the Oral Surgery Specialist Register held by the General Dental Council. This allows Peter to carry out specialist oral surgery (such as dental implants, surgical extractions, jaw surgery) for patients under local anaesthetic or sedation, as well all aspects of general and family dentistry. Peter has worked as Consultant Oral Surgeon at Cirencester Hospital, and now carries out surgery at the BMI Ridgway Hospital in Wroughton. He is registered with BUPA and most private medical insurance companies. He is one of the few surgeons in the area who carries out advanced implant procedures such as guided bone regeneration, internal and external sinus lifts, and block bone grafting. More importantly, his calm and caring approach is appreciated by patients who need specialist surgery. Alison graduated from The Queen’s University of Belfast in 1995. 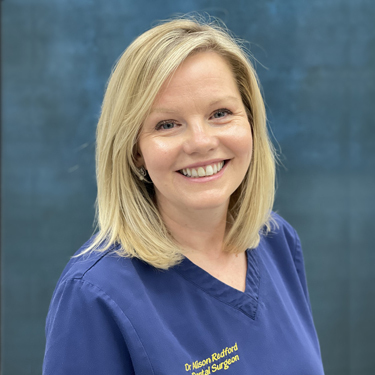 After one year of working at the Royal Victoria Hospital, Belfast, she took up a post in general dental practice where she worked until 2000 when she got married and moved to England. In 2000, she took up a post in South Staffordshire, treating adults and children with special needs, until her daughter was born in 2002. 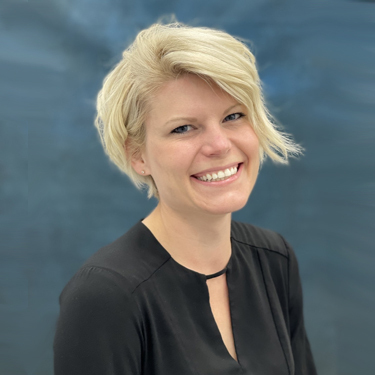 She then moved back to Ireland and gained further experience treating patients with complex medical needs and dental anxiety referred into the Special Care Dental Service. 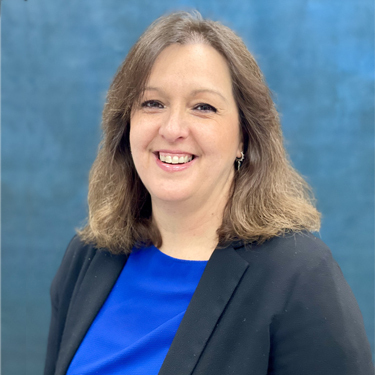 In 2007, Alison and her family settled in Shrivenham and she began to work for Great Western Hospitals NHS Trust treating patients with additional medical needs, including anxiety, dental phobia and dementia. 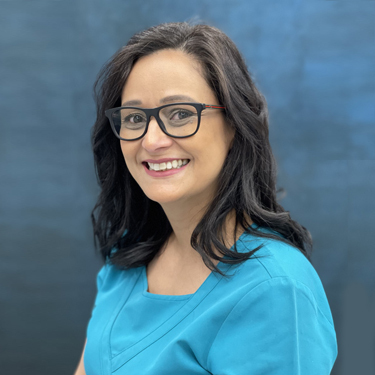 In 2012 she completed a Postgraduate Diploma in Dental Studies with the University of Bristol, focusing on anxiety control and sedation, treatment of the older patient and special care dentistry. 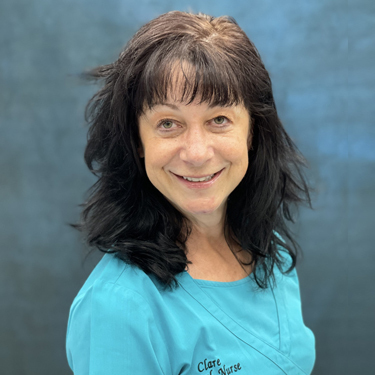 Alison prides herself on her calm and caring approach, which she has used throughout her career, and uses her skills and experience at One Wood Street providing general dental care. Kelly Wills is the Practice Manager at One Wood Street Kelly has worked as a dental nurse in and around Swindon since 2004. After 6 years of working in practice, she then decided to sit the national examination for dental nurses and became qualified in 2010. 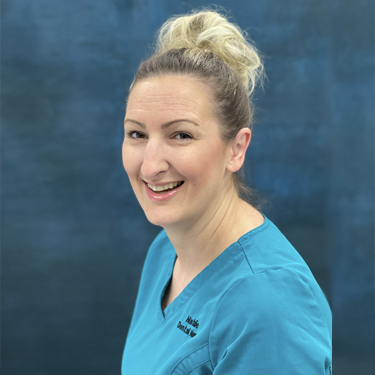 Kelly is also qualified in Dental Radiography and Dental sedation nursing, along with holding extended training to enable her to apply topical fluoride and take alginate impressions. 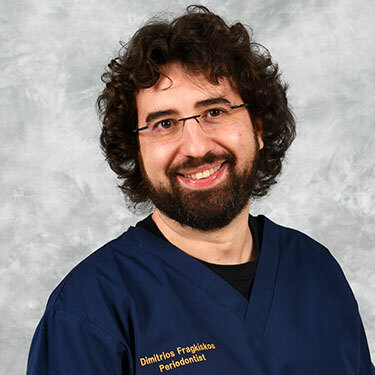 Dimitrios graduated from the National University of Athens, Greece, in 2007 after which he completed his military service as a general dentist in the Greek army. He then worked as a private practitioner in a specialist oral surgery referral practice. In 2009, he moved to the UK and at the end of 2010 was accepted at the Eastman Dental Institute and Hospital at UCL for a full-time, three-year specialist training course in Periodontology and Implant Dentistry. At the end of his training, he was awarded a master's degree in Clinical Dentistry (MClinDent) and became a GDC Registered Specialist in Periodontics. His research, on systemic biomarkers and periodontitis, is a very promising tool for the diagnosis of periodontal diseases. Currently, he is working in several referral-based practices providing non-surgical and surgical periodontal therapy, implant placement with and without the use of regenerative materials, and periodontal plastic surgery. He is also an invited speaker and trainer in the Greek Scientific Society of Oral Surgery, as well as providing verifiable CPD to general practitioners and hygienists in the UK. He is a member of both the Hellenic and British Society of Periodontology (BSP), the European Federation of Periodontology (EFP), the Greek Scientific Society of Oral Surgery and the International Team of Implantology (ITI). She has a great interest in Endodontics, which is the branch of dentistry dealing with treatment of the nerves and roots of teeth. 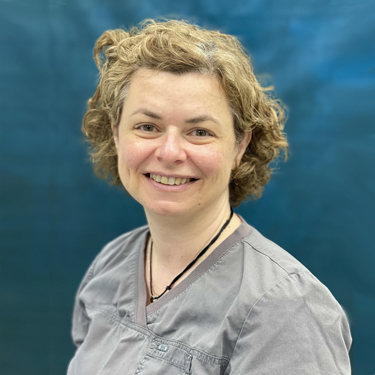 One of the most prestigious endodontics courses in the EU is at Guy’s Hospital in London, where Marina completed her MSc in Endodontics in 2005. She now restricts her practice to endodontics, visiting practices in Reading and Windsor. Assif qualified in Dentistry from The Royal Dental College, University of London in 2002. In 2004 he was awarded his Membership in the Faculty of Dental Surgery at the Royal College of Surgeon of England. He then went on to specialist training in Prosthodontics at Guy’s Hospital, part of Kings College, London. Assif’s training gives patients a high level of care and expertise. Assif specialises in improving the appearance of teeth to give patients that more confident smile. This involves advanced cosmetic and restorative procedures using veneers, crowns, bridges and implants. Apart from his technical excellence, his warm and caring manner is welcomed by patients. He is also happy to see referrals from other dentists in the area, who would appreciate the skills he has to offer. He has a special interest in smile design. For more information, please visit www.assifahmed.co.uk. Alex Greig qualified from the University of Glasgow Dental School in 1998 and was awarded his BDS with commendation. Following a period of further training in hospital he moved to Bristol and in 2001 was awarded the Membership of the Faculty of Dental Surgeons at the Royal College of Surgeons and Physicians of Glasgow. Since that time he has gained extensive experience in both hospital, as an oral surgeon, and in practice, providing an array of cosmetic procedures in addition to dental implants and painless tooth extractions. 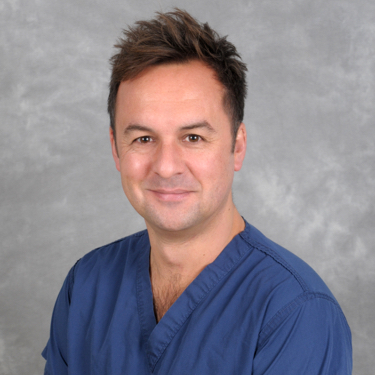 He has a particular interest in helping patients overcome any anxiety with the aid of sedation and he attended Newcastle University in 2006 completing the Diploma in Conscious Sedation degree programme. 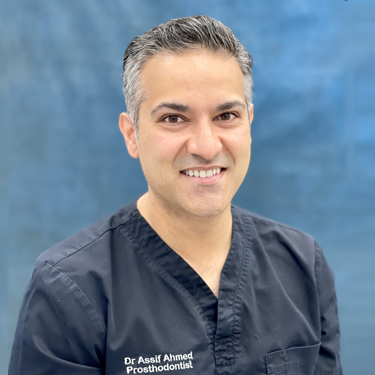 Recognising the increasing demand for the highest standards attainable, he has undertaken the Diploma in Implant Dentistry at the Royal College of Surgeons. This is one of the most prestigious establishments with regard to implant teaching in the UK and has enabled Alex to work with some of the most highly-acclaimed Implantologists in the U.K. and Germany. He is a member of The International Team for Implantology (ITI), The Society for the Advancement of Anaesthesia in Dentistry (SAAD) and the British Association of Oral Surgeons (BAOS). 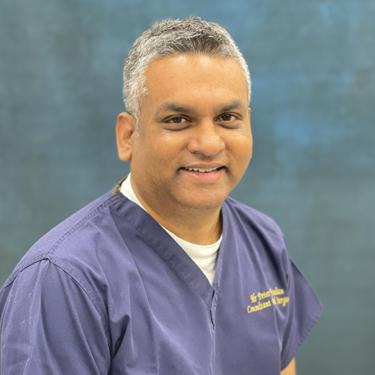 His gentle, relaxed manner and unhurried approach inspires confidence in his patients and reassures them during treatment. Lajja Shah graduated from the University of Birmingham in 2003. She then worked at a practice in Warwickshire for 14 years where she gained significant experience, and was awarded the Membership to the Faculty of General Dental Practitioners in 2007. Currently she is working towards achieving her MSc in Aesthetic and Restorative Dentistry from the University of Warwick. Lajja enjoys all aspects of general practice and is passionate about the long-term care of her patients and strives to build strong relationships with them. Outside of work Lajja enjoys travelling, going to the gym, spending time with her friends and walking her cocker spaniel Ted. 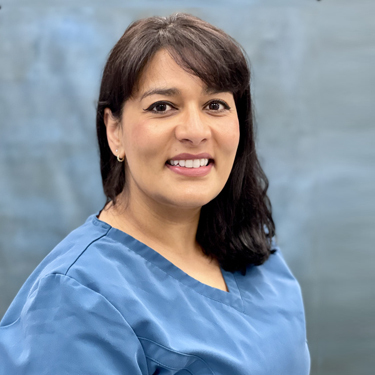 If you know of anyone who would like to join our practice and experience excellent caring dentistry, please ask reception for an appointment with Lajja. Anita works with us to cover the other nurses when needed, due to annual leave or sickness. She also performs the multiple back office duties needed to run a busy practice. Clare qualified as a dental nurse in 1994, qualified in special care dental nursing in 2002 and in dental sedation nursing in 2010. In 2015 she added radiography and impression taking to her list of qualifications. 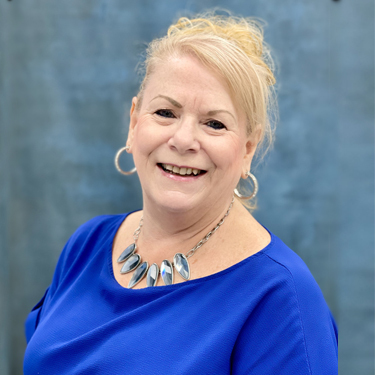 She has worked in special care dentistry, which is a referral-only service for special care patients who have special needs, since 1993 and in theatres doing special care lists and home visits, as well as in the surgery, since 1994. Clare joined One Wood Street in December 2007 to work with Peter Yesudian. She also worked with him in Lechlade Dental Practice doing oral surgery. 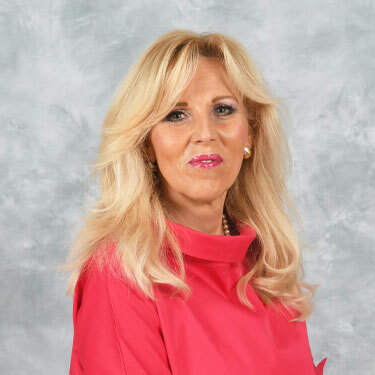 Jurate started her career as a dental nurse in her native Lithuania. In 2008, she received her diploma as a Dental Hygienist, and is registered as such by the General Dental Council. 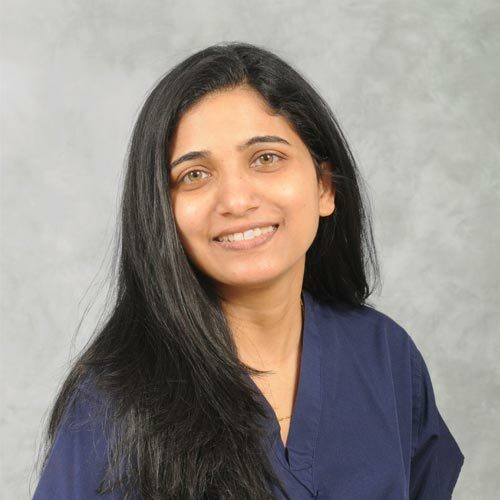 She is committed to the care of her patients, and enjoys working as part of the team at One Wood Street. Silvia has worked at One Wood Street since 2008. She has a busy family life, but still manages to make all of our patients feel welcome when they call or visit with us. Marian has worked at One Wood Street from the first day the doors opened. Her calm and warm telephone manner is usually the first point of contact experienced, and gives a wonderful impression of the practice. She and Silvia both attend courses to improve their customer service and make One Wood Street stand out in the level of care we provide. Rejane was a primary school teacher in Brazil. She joined us in 2015, to carry out all the decontamination of instruments that are used by the staff. Her motivation and skills led her to train as a dental nurse and she became fully qualified in 2018. Apart from Dental Nursing she plays a major role in being our Decontamination Lead. Natalie grew up in Faringdon, and completed her nursing qualification in 2013. She has worked in Swindon and Marlborough, and is looking forward to increasing her nursing qualifications and experience. Outside of the practice her three children and mastiff keep her busy. Her warm smile will always make you feel welcome.